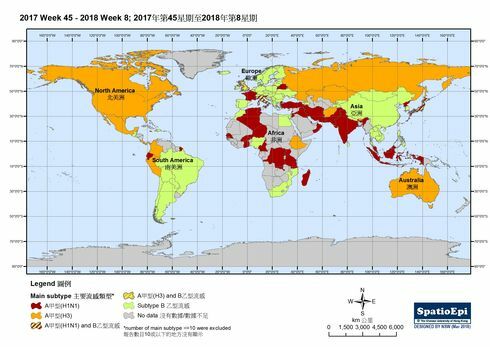 Since December 2018, influenza activity in Hong Kong has been rising with influenza A(H1) as the dominating virus. Children aged under 6 years were specially affected in this 2018-19 winter influenza season. The map shows the impact of 2018/19 seasonal influenza on kindergartens and/or child care centres, as well as paediatric wards in public hospitals. Since the start of the 2018/19 winter influenza season, a total of 389 kindergartens/ children care centres had classes suspended in response to institutional outbreaks. 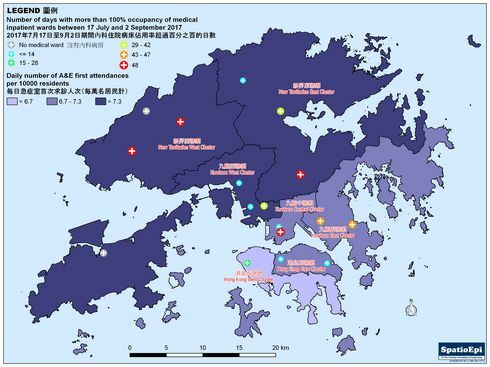 As shown by the graduated colours, almost half of the kindergartens/ children care centres in Shatin, Tsuen Wan and North District required class suspension by 25 January 2019, compared to that of less than 30% in Wong Tai Sin and Eastern District. 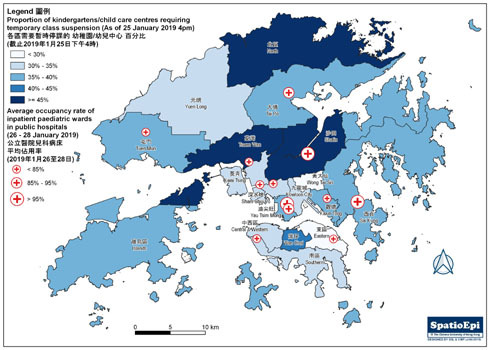 The spatial difference in the influenza activity is also be reflected by the more highly occupied inpatient paediatric wards in the public hospitals neighbouring areas where a higher proportion of kindergartens/children care centres had closed, as indicated by the red cross symbols. As announced by the Hong Kong Government, all kindergartens/ children care centres were required to close from 26 January onward, implying an early start of the Lunar New Year holidays. Data for the map were obtained from Centre for Health Protection, Hospital Authority, Education Bureau and Social Welfare Department. Influenza is a respiratory infection caused by the influenza virus, different forms of which are normally circulating in not just human beings but pigs and birds. All influenza viruses are divided into A, B and C, and further distinguished by their H and N antigens. There are currently 18 H (standing for haemagglutinin) and 11 N (standing for neuraminidase) antigens. 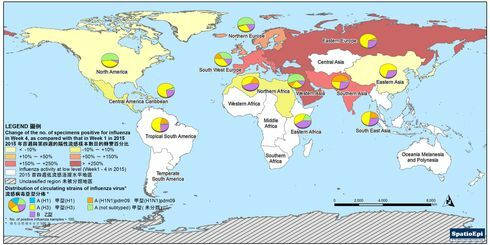 Epidemics occurred when novel viruses are introduced to the human population. Pandemic influenza A (H1N1), previously referred as Swine flu, was an example causing worldwide outbreaks in 2009. The genetic structure of this influenza virus contains segments from pig, bird and human, reflecting the occurrence of reassortment. Studies suggested a case fatality rate of 0.4% for the novel infection, and a higher tendency for causing disease in young people compared to other forms of seasonal flu. 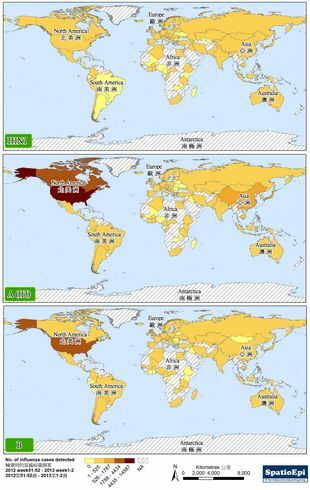 Since 2009, the same virus has continued to cause outbreaks in different populations at different timepoints. What next for Hong Kong?